Celebrating the Joy of Unification! 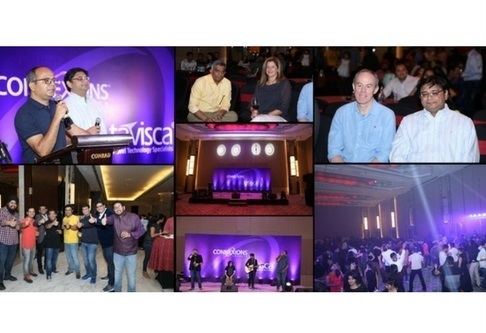 Tavisca Solutions, Connexions Loyalty & Affinion Group celebrated the union and becoming one family. Party held on 28th Feb 2018 at Conrad Hotel, Pune. All taviscans & their families enjoyed the Dinner, Cocktail & the Live band. Vinay Mehta (CIO, Affinion Group), Jim Daly (CHRO, Affinion Group), Kathy Austin (VP HR, Affinion Group), Ashok Pinto (CTO, Connexions Loyalty) & Rahul Shankar (MD at xKon Consulting) had joined for the party from USA!